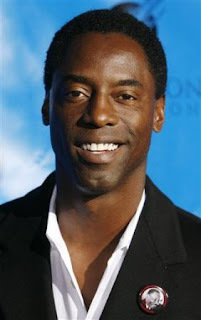 I guess Isaiah Washington should learn to keep his mouth shut. Since I saw him in the interview that Oprah did with the whole cast I noticed that he has lost humbleness and that he can certainly be a jerk. How about getting rid of Dr. Burke in the show? I can perfectly see the show going on without him, that will probably teach him a lesson and he will THINK before he says STUPID things. An apology????? I don't think that an apology from such a small minded person is worth it... Fire him! GO TR!!!!!!!! Feel free to spit on your computer screen! I can only say that I am very happy that the Hollywood Foreign Press voted "Babel" as the best picture of the year in the drama category. 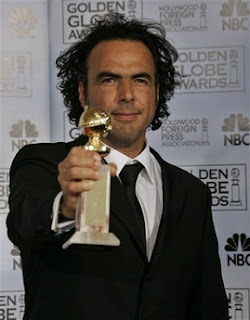 Alejandro Gonzalez Iñarritu is a very talented Mexican dirfector that deserves this recognition more than anybody else. Alejandro started his professional carrer as a radio DJ and along Martin Hernandez and Charo Fernandez created one of the most successful radio stations in Mexico City. When he decided to start directing films "Amores Perros" came along and he got international recognition. As a Mexican living in the USA I am very proud of Alejandro and wish him many, many more awards. Maybe an Oscar? let's keep our fingers crossed! 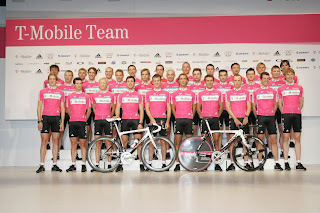 The men's T-Mobile cyclist team is definetely one of the sexiest ones. You can actually download a high-res picture at www.t-mobile-team.com and enjoy them! This picture was taken during the presentation of the team 2007 in the village of Cala Serena at the Spanish island of Mallorca, January 13, 2007. Well... I know it has been a while since my last post. However, I am happy to say that a lot people have been coming back to the page, so thanks for that! Hopefully i will be able to do this on a more regular basis. So here we go again!